Locksmith Brooklyn – Champion locksmiths! You never know when you’ll need a quality Brooklyn locksmith to help you out of a pickle. Or should we say, help you in. Eddie and Sons Brooklyn locksmith has over a decade in business providing the best of the best in your community. Our honest and dependable technicians are ready to assist with any of your lockout needs. Our fully loaded van will meet you anytime, anywhere and with our 20-minute response promise just about anywhere in Brooklyn, you can be sure that we’re reliable and quick. Add this locksmith number to your speed dial now and the next time you’re locked out; give our locksmith Brooklyn a call. We can help. At Eddie and Sons Brooklyn locksmith, we are committed to the safety and security of our community. We offer unmatched quality and trusted professional service in Brooklyn. Lost your car keys at the beach? We’ll send you a skilled car technician to get you on your way. Locked out of your home after a long day at work? Our residential locksmith service in Brooklyn team will have you inside in no time. We’ve also got commercial locksmith professionals to help businesses with all their lock and key needs. Plus, our 24-hour emergency locksmith Brooklyn, NY services offers quality around the clock. As your local auto locksmith service in Brooklyn, we look forward to offering a helping hand to our neighbors, so give our reliable team a call today. Car lockouts happen to us all. Especially in Brooklyn where life is super busy. Your hands are full and you’re fumbling with your keys. Next thing you know, you’ve dropped them down a sewer in the parking lot. It’s time to call a Brooklyn car locksmith expert. 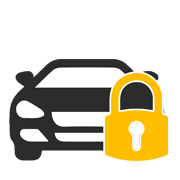 Locksmith Brooklyn has lots of options when it comes to vehicle lockouts. We can produce replacement ignition keys on the spot. We can even help with your missing transponder key and we also replace ignition switches. And it’s no problem for our auto locksmith Brooklyn technicians to create a new key fob either, if they all fell down the drain. Save this locksmith number in your contacts and when this happens to you, our technicians will be there with a copy of a vehicle key. It’s frustrating enough to get locked out of your home, car, or business during the day. What’s even more frustrating is having an emergency and being locked out after hours, calling your local locksmith Brooklyn tech, and finding that they’re closed. We understand that these things happen regardless of the time of day and our 24-hour emergency locksmiths after hours lockout assistance assures that you’ll never be left stranded, no matter what time it is. Even if you’re locked out on the side of the road after hours at 2:00 a.m. our skilled emergency car locksmith is ready to help 24/7. Feel free to call us, day or night, and take advantage of our 24-hour emergency locksmiths service. 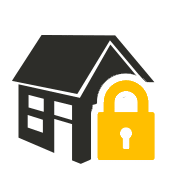 When hiring a home locksmith to secure your house, residential locksmith experience is what you should be looking for. Our Brooklyn locksmiths are skilled, trustworthy residential experts who are ready at moment’s notice to secure your home. We can install and repair hardware on your residential door locks and for home lockout situations, we provide lock re-key services and replacements. Whether it’s an emergency or not, you can count on our residential locksmiths to make you feel safe and secure in any situation! 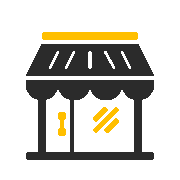 Whether you’re looking for a commercial locksmith expert on door locks, a locksmith to copy building keys, or help getting inside after a building lockout, we have a reliable commercial locksmith team ready to assist. Save our locksmith Brooklyn’s number for when you need a security lock installed or during those inconvenient commercial lockouts that are bound to happen. There is no building we can’t tackle.